Family game nights are a time when friends and family can come together and challenge each other’s wits and game-playing skills. Whether it’s a challenging game of Cranium, a game of strategy like Battleship, or a game of skill, board games can be fun for everyone, helping to bridge what has become and increasingly gap in “fun.” I remember Bop It! as a kid, and was sadly one of those children who never got to play. Now, Hasbro has unleashed a new version of Bop It! – the all-new Bop It! Smash, a game that will surely add some fun to your family game nights. When the new Bop It! Smash arrived at the house, it didn’t stay in the box very long. It took all of a minute before I tore open the box to play the game that I’d been missing since I was a wee lass (cuz I’m part Irish, you know – something like 1/32nd.) I even remember watching the commercials when I was younger – seeing all of the kids have so much fun bopping and hitting their Bop It! And now, finally, I had a Bop It! Smash of my very own. Oh sure, I’ll share it with the rest of the family, but this was my time to have some fun! So I did. The new Bop It! 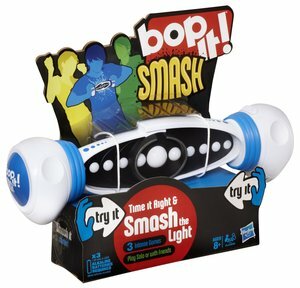 Smash is like a combination of Bop It! with those games at arcades where the lights are in a circle and they flash around and around until you hit the button, hoping you get the light in between the two bars so you win the jackpot of tickets. Only here, you aren’t in an arcade (thank goodness) and you don’t hit a button, you smash the sides of the Bop It! in – hence Bop It! Smash. There are three modes of game play with Bop It! Smash – solo, pass it, and multi-player. Since I took first crack, I went solo mode and had so much fun. The comments that the game makes while you’re playing crack me up – doling out high praise when you hit the light in the big blue middle and teasing you a little bit when you completely miss the mark. I took this quick video of me rocking level 1 and doing so-so on the bonus round. For family game night, play the game in pass it mode – where each person has to pass a level and they keep playing until prompted to pass it, or multi-player mode where you compete against each other for a high score. After 20-some years of waiting, I finally got to play Bop It!, and it did not disappoint. To add the new Bop It! Smash to your game collection, you can purchase it online from Amazon for just $19.99. One winner will receive the all-new Bop It! 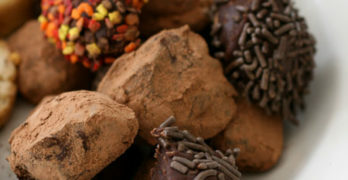 Smash. I didn’t get to play Hungry Hippos. Monopoly, never got to play clue. Soooo many, but I loved our game board for snakes and ladders, actually the great pictures were little stories….loved it! played a lot of Pay Day back in the day….. Monopoly and Candyland AND Payday I Loved that game! Uno and Candyland were my favorites. I loved Mousetrap, Monopoly, The Game of Life and Don’t Wake Daddy. I always loved playing Life as a kid. I had 4 brothers so we played T heather ball all the time. We played with Chinese Jumpropes for hours. we always played checkers or battleship. Chutes and Ladders was always fun and Candyland of course.